IDF reveals nature of training accident that left 2 soldiers injured in northern Israel. The training accident in which two IDF soldiers were injured Monday morning involved the overturning of a military vehicle, the IDF revealed. 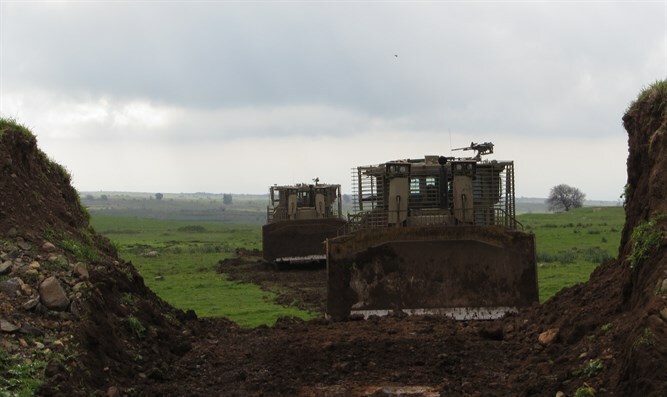 The IDF Spokesperson's Office said that an IDF combat soldier was seriously injured and an additional combat soldier was lightly injured as a result of the overturning of a military vehicle during training in the Golan Heights in northern Israel. The soldiers were evacuated to Rambam Hospital in Haifa by helicopter for treatment. In addition to the operational debriefing, the commander of the ground forces, Major General Kobi Barak, will appoint a team headed by a colonel to examine issues relating to the building of the force, training of the operators, weapons and more. The families of the injured soldiers have been notified of the accident.